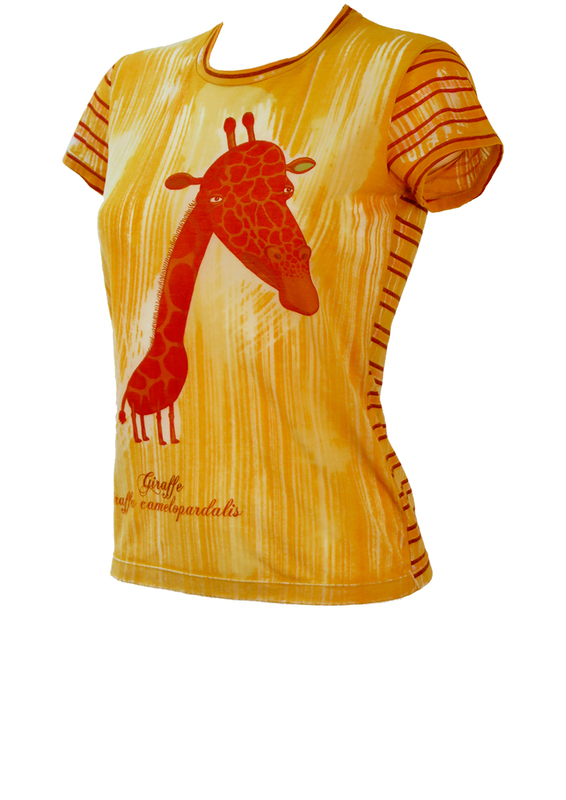 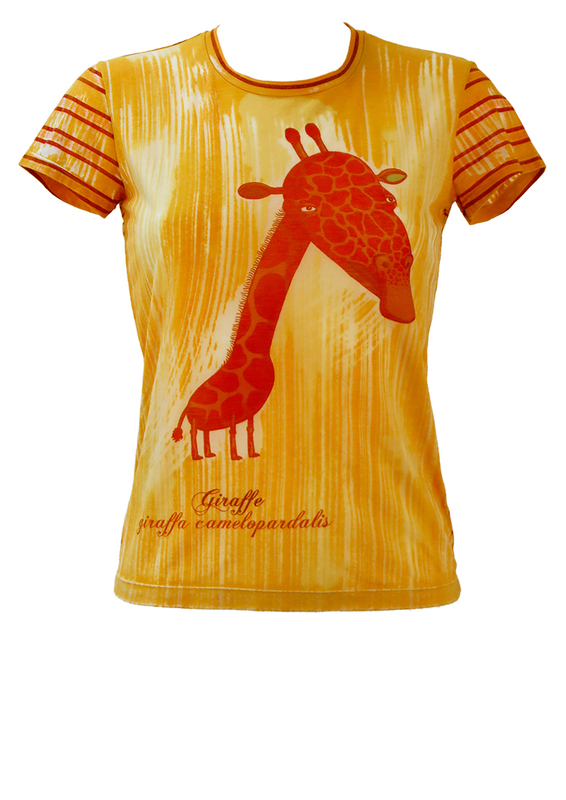 Custo T-shirt featuring a cartoon style giraffe set against a slightly textured, abstract striped yellow and slightly sheer white background. 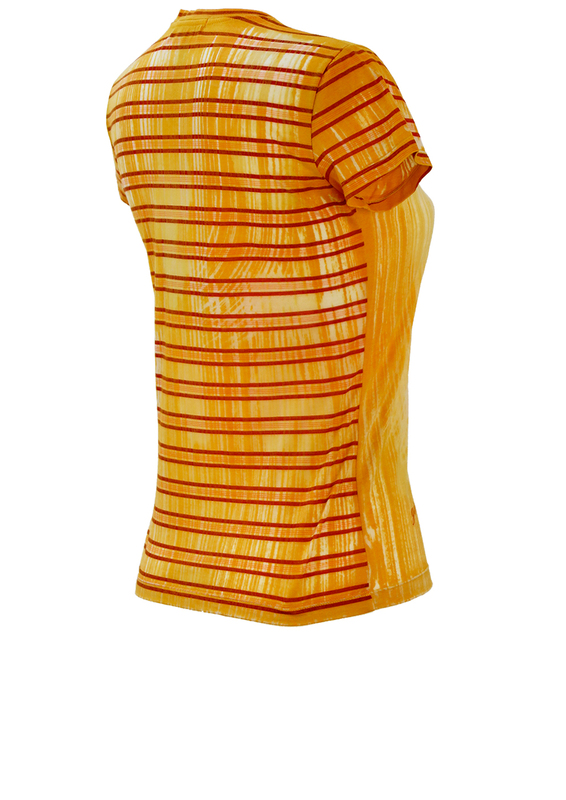 The back of the T-shirt has a further overlay of horizontal brown and fine red stripes that extend to the cap sleeves, creating a classic Custo style of mixed patterns. 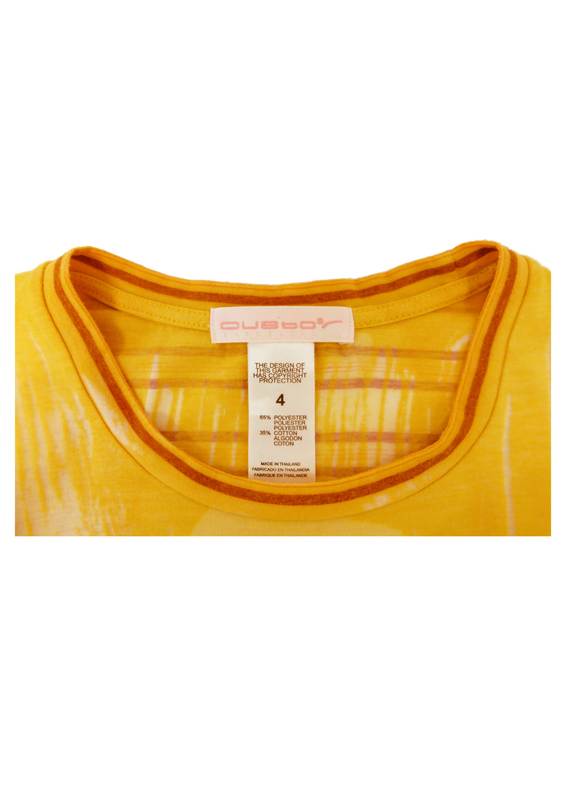 The sizing label states a size 4 which we have equated to a size S and also a possible size M given the T-shirt has some stretch to it. 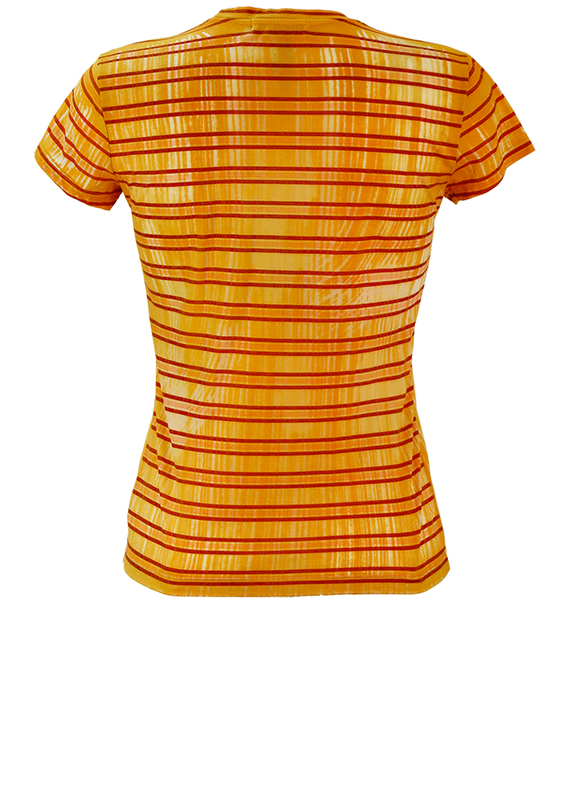 Please refer to our measurements for further sizing guidance which have been taken with the garment non stretched.